New technology and cost effective cell phone cameras are taking scouting camera strategies to the next level. We have come a long way since the days of rushing to a one-hour photo developer to look at the photos taken by our trail cameras. A long, long ways. Digital cameras completely changed the game camera game; you just plug an SD card into your computer and view. Well the changes and improvements are moving ahead at a breakneck pace. The first scouting cameras that used a cell phone signal to send you a photo were introduced several years ago, but they were so expensive that the cost was prohibitive. Not only was the camera expensive, but each camera had to have an individual phone number, which meant you had to add another line to your monthly bill and each of the photos the camera sent you would eat up your expensive data at an alarming rate. That’s all changed. 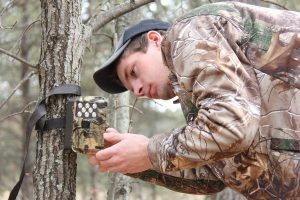 Several companies, including HCO, Covert and Stealthcam now offer cell phone cameras in which you can buy a monthly data plan so you only pay for the data you use while your camera is in the woods. Covert offers this in both ATT and Verizon editions. Plans run as low as $14.99 per month which will allow the camera to email or text up to 1000 photos depending on the camera’s settings. (Higher megapixel photos use up data faster). 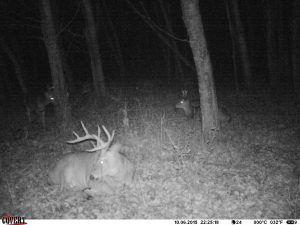 You can sit in your treestand or your living room and receive texts or emails of photos as they are taken by your camera. Place a camera down the trail from your stand and it will text you a photo when a deer is coming up the trail. Plan where you will hunt by analyzing the photos you received before you even leave home. Cell phone scouting cameras like the Covert Blackhawk allow you to get photos of deer without leaving human scent intrusion. Bedding areas are perfect for this. The camera texts or emails you photos as it takes them. Of course there are applications for these cameras beyond hunting. There are cases where a landowner was texted a photo of a trespasser, who called law enforcement. The suspects were apprehended before they even got off the property. Someone stealing your camera? You have their photo. To add even more to the cell phone camera revolution, some camera companies now offer an app for your smartphone or tablet that allows you to keep track of the camera’s status. The HCO app allows you to monitor the camera’s status. Haven’t received a pic in a while, with the Covert app, you can ping the camera, tell it to take a photo and check the battery level by viewing the photo. Photo viewers for tablets have been around for a while, but they have improved as well. Now there are several SD card readers that allow you to look at the photos in the field by connecting the SD card from the camera right into your cell phone or tablet. An app for the phone or tablet allows you to view and sort the photos on the go. 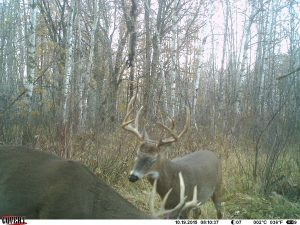 Grab the SD card from your camera on your way to the stand and then scroll through the photos while you wait for a buck to walk by. Another twist is the WIFI camera by Kodiak. This camera wakes up and starts a WIFI signal when it detects your cell phone from up to 150 feet away. You can then use the WIFI to download all the photos from the camera to your cell phone or tablet, no cell phone or data fees at all. Just as with the cell phone cameras, this is perfect for sensitive areas where you do not want to leave your scent while checking the SD card. Small cameras are less intrusive and less likely to be stolen. In addition to all this mobile technology, cameras are just plain better. The cost of quality sensors and lenses are coming down. In the past, camera manufacturers were adding megapixels to deal with the issue of poor quality photos. The problem with that is this: a 3 MP photo is not going to offer clear resolution, it will always be blurry. But a photo that offers 12 MP with a poor lens and sensor is basically just a blurry picture that’s four times as big. Covert introduced their Phantom for 2016, which offers a high quality lens and sensor comparable to the high end cameras for only $249. The Phantom offers full 1080p video, something Browning introduced last year, and other camera companies are sure to follow. Faster trigger speeds are features of the newer cameras. While .4-second triggers used to be considered fast, today they are more common. Black flash cameras were made by simply adding a filter over the infrared LED lights, which significantly reduced their range and the photo quality. Newly introduced cameras are using the black LEDs at an affordable price so the quality of nighttime pictures is much better. Some gimmicky things are sure to find a niche as well. Wildgame innovations offers a camera with six lenses in a circle, which take a 360-degree photo, something that would be interesting to place in the middle of a food plot. 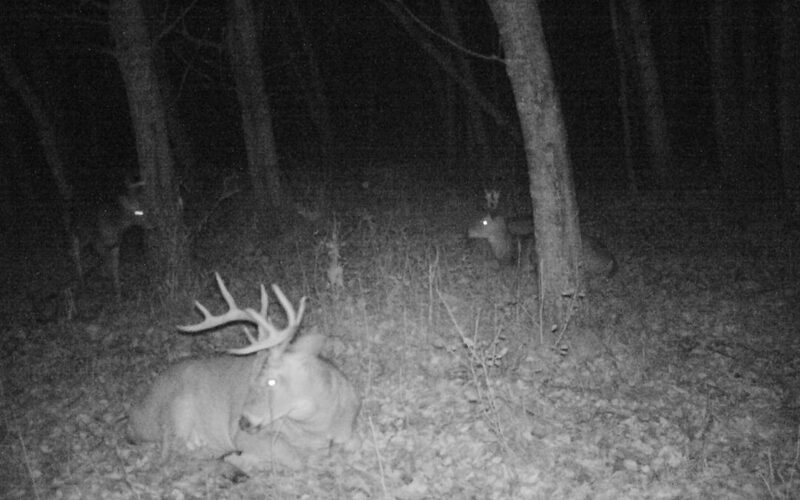 Plotwatcher cameras take a photo every five seconds and when you run the photos through the software, they look like near-video as you watch the activity in your food plot ‘round the clock. Scouting cameras are offering excellent features that make our lives easier and offer scouting advantages. I don’t expect the innovation to end any time soon. It will be interesting to see what they come up with next. Check out this video about the Covert Blackhawk, a Verizon camera.